Product #60720 | SKU XK-1475-UKVM12-SO | 0.0 (no ratings yet) Thanks for your rating! Configured to work with KVM (Keyboard Video Mouse) switches to control multiple computers from a single work station. The X-keys USB 12 KVM Switch Interface is configured to work with KVM (Keyboard Video Mouse) switches to control multiple computers from a single work station. Any keyboard combination or string of keystrokes can have a designated switch. The X-keys emulates a standard USB keyboard and eliminates issues with most KVM input limitations. Please note: KVM version X-keys send pure USB HID keyboard codes and are intended for use only with hardware that does not have a traditional operating system behind it (like a KVM). 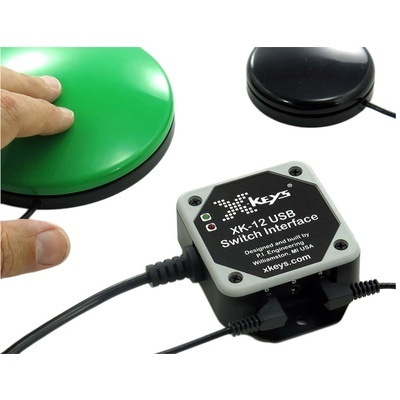 If the X-keys will be connected directly to a Windows, OS X, or Linux computer, our standard X-keys products may be better suited to fit your requirements.